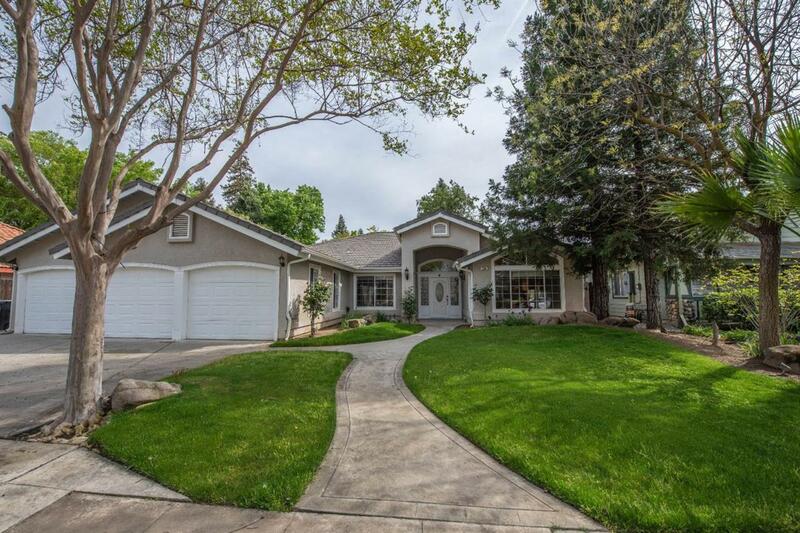 Clovis Custom Home in Dry Creek Estates! 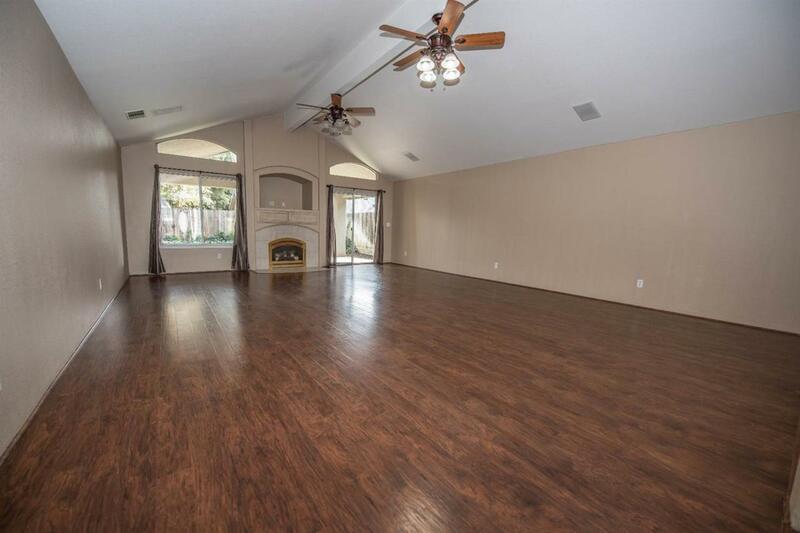 Huge Great Room with gas fireplace and vaulted ceilings. Formal Dining Room. Kitchen has granite counters, bar seating, and Breakfast Area. The Master features marble on the floor, counter-tops, shower and around the large spa/tub. Large bedrooms and bathroom with glass block. 3 car finished garage with storage closets and an additional work room. 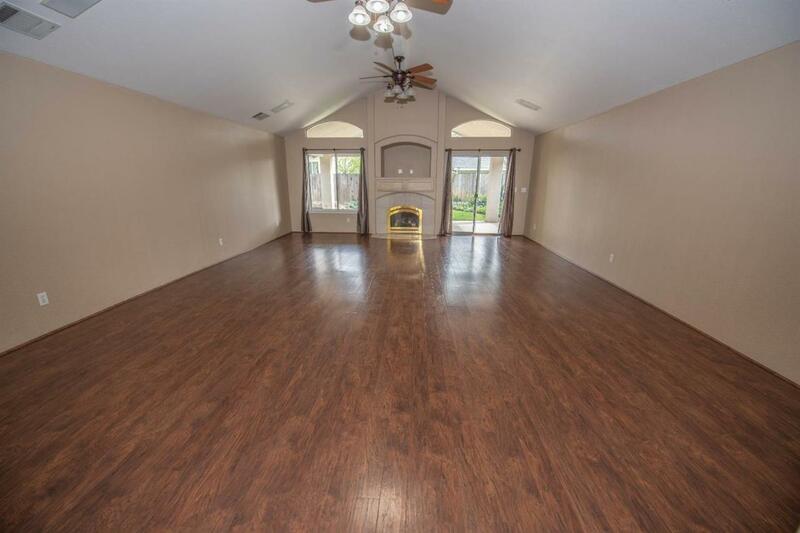 Nice lighting throughout, tile roof, covered patio, mature landscaping. Custom wood work around the windows and garage doors. 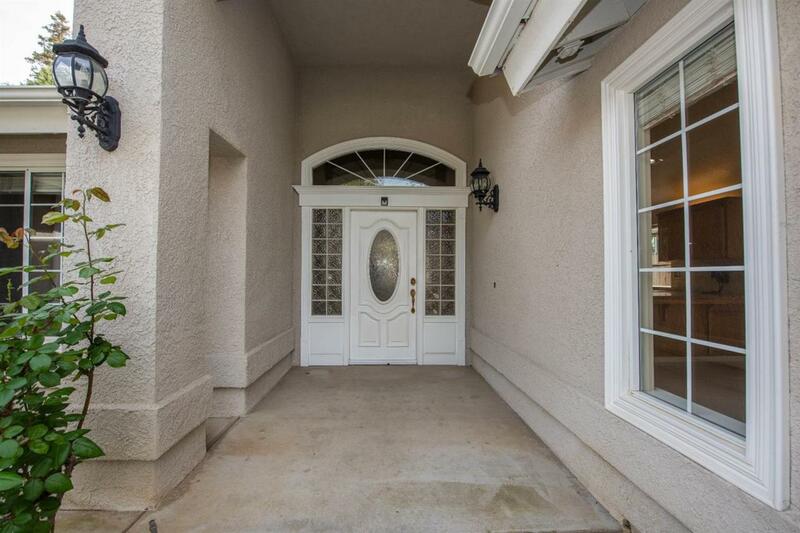 North facing and set on a quiet interior lot. Close to a neighborhood park. Near shopping centers. This a very Attractive Home!